The reality is that countless lost or, stalled deals, can be explained by sellers pursuing their own idealized notion of the sale (or steps of the sales process) without fully understanding, or adequately adapting to the prospect’s buying process. In the real world misreading the buying decision is a big risk that all sellers face. That is because buying decisions are often made behind closed doors, with many buyers being content to keep sellers in the dark. This, allied to a general shift in the nature and complexity of buying, inevitably means that sellers must rely on some element of guesswork and assumption. – Failure to spot the ‘early warning signals’. 2. By failing to adapt to the buyer’s steps the seller can easily get out-of-step with the buyer and therefore runs the risk of getting too far ahead of, or falling behind; the buyer. The result is that all too often the salesperson approaches the finishing line only to look back and see that the buyer is nowhere in sight. 3. Sellers often sell the same way to all customers regardless of the stage that they are at in the buying process. That is a major lost opportunity to meet the buyer where he/she is at with respect to the decision (the information required, issues of greatest concern and so on). A classic example is the damaging attempts at closing by a seller who fails to recognize that there are several steps for the buyer to complete before a decision can be approved. – The sales proposal becomes a surprise proposal. The result is a less than complete understanding of the buyer’s requirements, or a lack of buy-in to the seller’s proposed solution. – The relationship aspect of the sale goes under-developed. 5. The seller misses vital opportunities to meaningfully input to the buyer’s decision – to help the buyer to buy. The result is that they are likely to be seen as a salesperson, rather than a trusted adviser – and treated accordingly. – By failing to get involved earlier in the buying process they may be drawn into a competitive tender situation where there is limited scope for real buyer interaction, or potential to shape requirements. – By attempting to circumvent the buying process (e.g. attempting to go over, or around the buyer) the seller may be disqualified. 7. The buying process is designed to manage risk, but sellers who are oblivious to this fact and push for a decision regardless of its steps overlook a key aspect of winning the sale. 8. Misreading how the decision will be made is a key factor in stalled deals. Sellers often complain of vacillating buyers and feel powerless to prevent stalled decisions. Key to this issue is the importance of each step of the buying process being successfully navigated. The seller’s job does not stop at submitting a proposal, but involves helping the buyer to ensure that the project/purchase is ready to be signed off by senior managers. 9. Frustration among sellers who have underestimated the demands of getting the sale and more specifically the paperwork and other demands it places on them. This is particularly the case in respect of the more bureaucratic approach to buying. 1. Learn more about how buying decisions are made by talking to buyers and by reading books, or papers on buying. 2. Ask more and better questions about the decision making process. But it also requires reading between the lines. 3. Avoid making assumptions and avoid second guessing any aspect of the sale. 4. 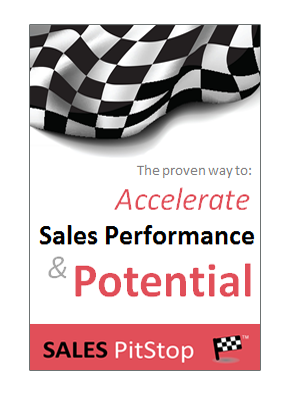 Ensure greater flexibility in respect of sales process – adapt how you sell to how the prospect is going to buy. 5. Understand the level of risk associated with the decision (including compliance) as this will explain much about the decision and how it is going to be made. 6. Help the buyer to buy. Stop selling and adopt more of a coaching role. 7. Put yourself in the buyer’s shoes – reflecting on how you/your organisation would make a similar buying decision. Buyers are playing their cards ever closer. Even if sellers ask all the right questions, they may still not get all the right answers. For this reason, it is important to be realistic – it is not possible to have perfect information about how every decision will be made. 1. What is required to get the purchase sanctioned internally? 2. 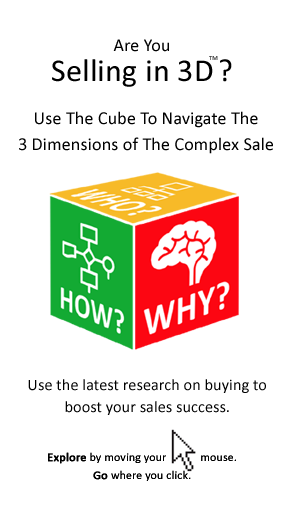 How complex is the buying process and what degree of flexibility is involved? 3. What is the time line – when did the process begin, when is it likely to end? – Has the strategy or need been agreed? – Has the solution been defined? – Have suppliers been approached? 5. How many steps there are in the buying process and in particular how many are outstanding? 6. What are the information & paperwork requirements at each step? 7. What are the stage gates, or key review points?